In honor of African American History Month in February, Chicago Public Library will feature a variety of programs for kids, teens and adults highlighting the culture, history and achievements of African Americans. More than 60 events, workshops and programs are currently planned to celebrate this heritage month and all are free and open to the public. These include a variety of music performances, author events, storytimes, film screenings and much more. For more information about African American History Month programs and Library offerings, visit chipublib.org/AfricanAmericanHistory. Books by and about African American culture, art and more are available at all Library branches and on the Library’s website throughout the year. 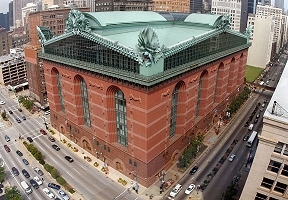 For a complete listing of programs, visit a CPL location or the Library’s website, chipublib.org.